필요한 모든 세부 정보를 입력해 주십시오. 해당 이메일 주소에 대한 정보가 없습니다. 다시 확인 후 올바르게 입력해 주시거나 여기에서 계정 생성을 하십시오. 암호가 틀렸습니다. 다시 시도해 주십시오. 암호를 잊어버리셨다면 여기에서 리셋하실 수 있습니다. 아직 계정이 없으십니까? 여기에서 쉽게 만드실 수 있습니다. 암호를 잊어버리셨습니까? 여기에서 암호를 리셋하세요. 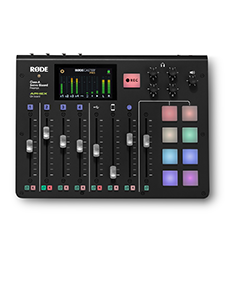 How do I optimize my RØDELink’s range and performance? Understanding both the environment you are operating in as well as exactly what the oppositional factors mean and how they might affect performance is key to optimising your RØDELink setup. The biggest impact on performance will of course be interference from other devices in the area you intend to use your RØDELink system. Wi-Fi access points are the most common interferer in the 2.4Ghz spectrum, so a simple way of identifying how many access points are available in an area is to take a quick look at how many you can see on your smartphone. The more access points, the higher the interference potential. If you have identified that you are operating in a congested 2.4Ghz environment, you’ll then want to consider how these interferers will impact the RØDELink’s performance. As a general rule, 3 access points, being heavily used in the same area will cause the 2.4GHz frequency band to be used up and you will see a large reduction in range performance of the RØDELink system. However, distance between the interferers and the RØDELink system can help this. For optimum RØDELink performance you should aim to keep the distance between your transmitter (Tx) and receiver (Rx) to less than the distance between any interfering device and the transmitter or receiver. Wherever possible, you will want to keep your Transmitter (Tx) and Receiver (Rx) in direct line of sight. This means that there are no objects at all between the two. 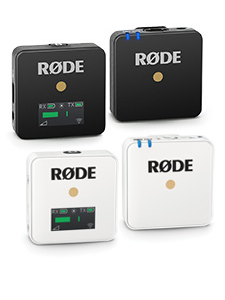 Understandably the transmitter (Tx) may at times need to be hidden depending on the scenario you are using it in, however the RØDELink’s range can be further optimised by ensuring there is nothing impeding the signal transmission. The orientation of the antenna in your RØDELink kit during operation will also help optimise the systems performance. The Rx-CAM will be oriented correctly if mounted via the cold shoe mount which it ships with as standard. If the shoe is not being used you should aim to have the bottom of the receiver (opposite side to the screen) pointing towards the transmitter. 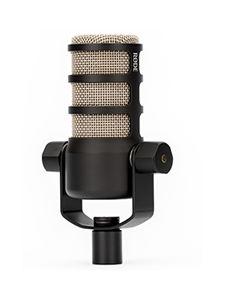 © 2019 RØDE Microphones. 모든 권리 보유.